At A & P Fencing we stock a wide range of timber fence panels, including the most popular waneyedge panel and our heavy duty featheredge panel. All of our fence panels are manufactured on our ‘panel master’ machines to ensure the highest quality and consistency. 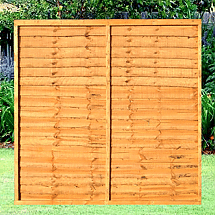 We have a range of timber fence panels, all listed below. They are available for fast delivery from our West Midlands depots to popular locations including Birmingham, Sutton Coldfield, Great Barr, Tamworth, Lichfield and more. 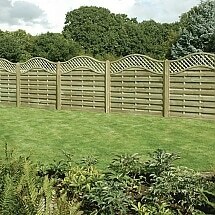 Here at A&P Fencing we pride ourselves on delivering high-quality fence panels and outstanding customer service. 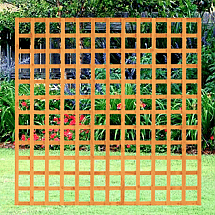 Our aim is for our customers to receive long-lasting garden fencing that will provide them with a quality border for many years to come. All of our timber fencing is manufactured right here in the UK in the West Midlands, so we can guarantee that the fencing delivered to you is well-made and built to a high standard. We have decades of experience in manufacturing timber fencing, so you can be assured that your fence panels will be solid, strong, well-designed and beautifully finished. 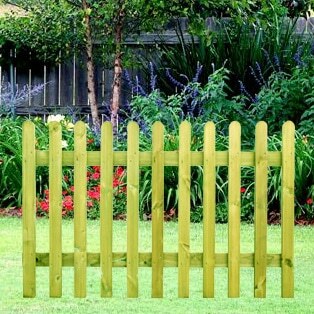 For any more information about our range of timber fence panels or any of our other products, please contact us.